Woodstock Hardware has an extensive and complete Lawn and Garden Department to meet all of your lawn and garden needs. Whether you are a professional gardener or lawn care specialist, a weekend enthusiast, or just poking around in the dirt with your kids Woodstock Hardware has the supplies, materials, and products to meet your needs. We carry a wide range of supplies to plant, fertilize, grow, nurture, and protect your grass, flowers, vegetables, shrubs, and trees. Woodstock Hardware is proud to offer solutions that meet your needs ranging from conventional synthetic products to all natural, and organic solutions. There is no question that at the beginning of each gardening season there are new solutions brought to market expanding the all-natural and organic solutions to help plant, grow, maintain, and protect all of your plantings. It is extremely rewarding to offer these new products each year that now accomplish the same goals as the traditional products but that are safer for the environment, the local wildlife, and the user. And lawn and garden tools? Well Woodstock Hardware has a complete selection of the short and long handle tools you need to take care of your yard, garden, and lawn. Rakes, shovels, pruners, pitch forks, hoses, sprinklers, wheel barrows, cats, spreaders, etc. You name it we have it. And from top quality manufacturers. Woodstock Hardware also offers a wide selection of small engine power tools for your lawn and garden needs including brush cutters, lawn mowers, leaf blowers, and more. These tools traditionally have been available in both gas-powered or electric versions, and we are now happy to offer many of these types of tools in very effective battery powered alternatives. For more information on the maintenance and care of small engine powered gas tools please visit Woodstock Hardware’s Small Engine Care Center. 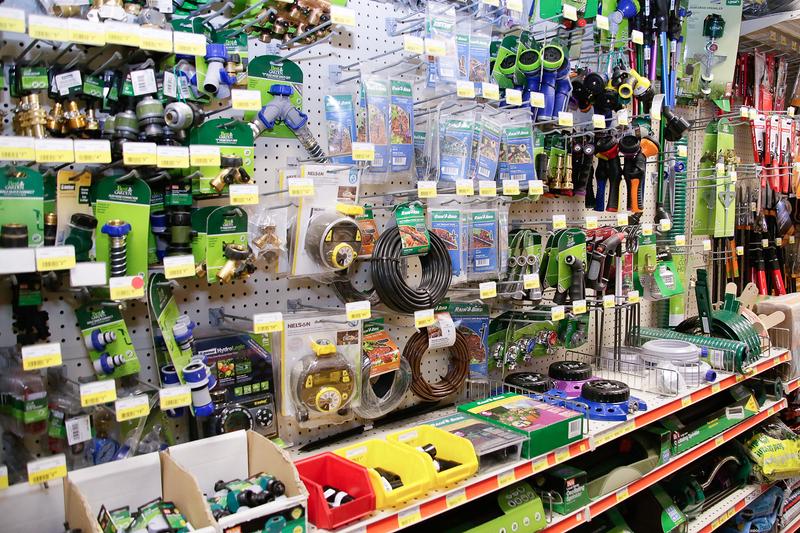 In addition to the extensive selection of Lawn & Garden supplies and products Woodstock Hardware can also provide you the technical expertise required to help you make sure you are getting the products that best meet your needs. Here are the links to some technical sources and summaries we have prepared to help our customers. 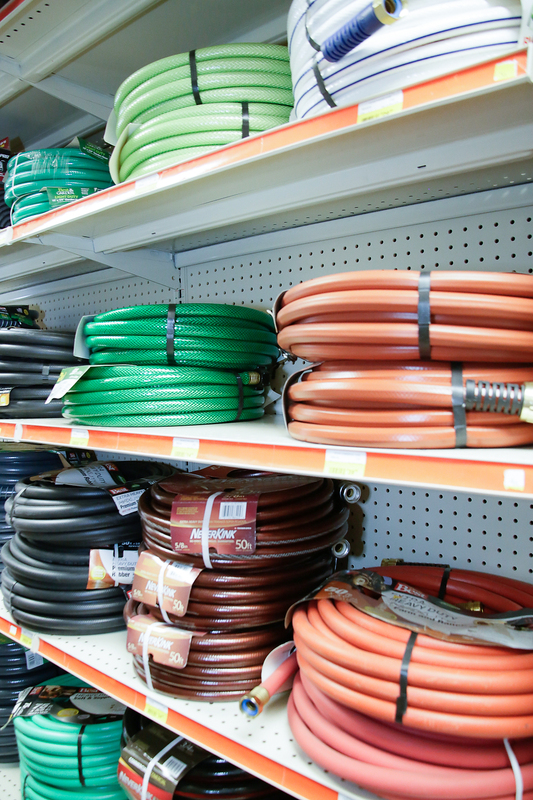 Woodstock Hardware’s Lawn and Garden Department includes 1000’s of quality products to help you with your next product. So, if you are eliminating, nourishing, fertilizing, or treating, an area of your lawn or garden, Woodstock Hardware has the products and supplies you need.